Active Results LLC, 9780966565836, 178pp. Do you have the leadership skills you need to solve problems, reach goals, and develop others? The COACH Model(R) is a radically different approach to leading people. Rather than provide answers, leaders ask questions to draw out what God has already put into others. Learn how to create powerful conversations to assist others to solve their own problems, reach goals, and develop leadership skills in the process. Whether you are working with employees, teenagers, or a colleague living in another city, you'll find powerful tools and techniques you need to increase your leadership effectiveness. 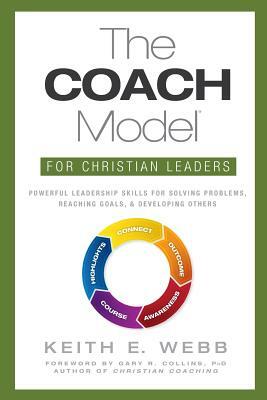 The COACH Model for Christian Leaders is packed with stories and illustrations that bring the principles and practice to life. Based on first-hand experience and taught around the world, this book will transform your conversations into powerful learning and results. Dr. Keith E. Webb is a Professional Certified Coach, author, speaker, and consultant specializing in leadership development. He is the founder of Creative Results Management, a global training organization focused on equipping ministry leaders. For 20 years, Keith lived in Japan, Indonesia, and Singapore where he designed and delivered leadership development programs to Christian leaders in over 30 countries. He is the author of The COACH Model for Christian Leaders, Overcoming Spiritual Barriers in Japan and is co-author of Coaching In Asia. Keith blogs at www.keithwebb.com. He lives near Seattle with his wife and their two children.